Ask leaders about the most efficient way to be inefficient, and I bet most will say “bad meetings.” But the hard truth is that meetings are not only inevitable, they’re also essential. Why? If our teams are going to achieve major goals, we need to be able to plan, coordinate, and tackle problems together. The problem is that many meetings are the least productive use of our time, right? We’ve all seen it. Meetings consume more work hours today than ever before. Leaders spent under four hours a week in meetings in 1960. A decade later it was twice that. Today, leaders spend about half their week in meetings. But what kills me is that a third of that time is wasted on pointless, badly run meetings. Ever dreamed of launching your own self-hosted WordPress blog? It’s easier than you think! Watch my free, twenty-minute screencast. I show you exactly how to do it, step-by-step. You don’t need any technical knowledge. Click here to get started. All too often, meetings become ways to delay tough decisions and dodge responsibility. How many meetings have you attended where there was no clear agenda or objective? Where there were more tangents than you could follow? Where you were more confused when you left than when you arrived? 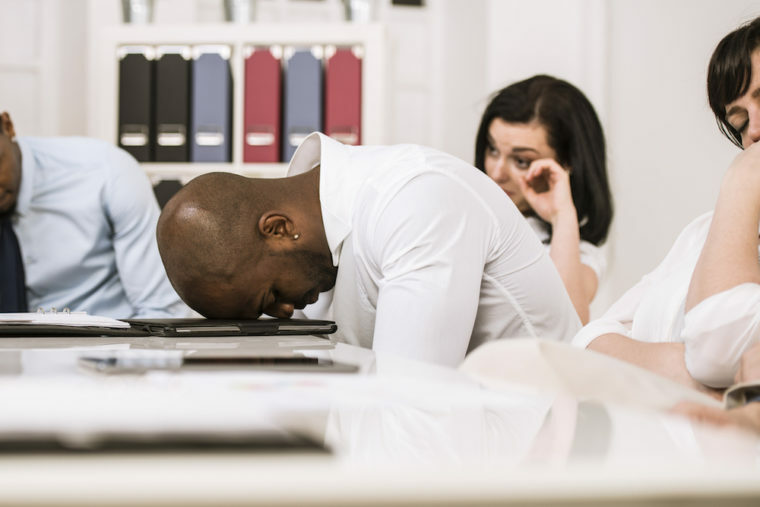 In one survey, almost half of respondents said they’d rather endure something unpleasant like a root canal or a visit to the DMV than sit through another meeting. We can do better. Meetings don’t have to be awful. But it’s critical that we recognize one fact: We’re not going to drift into better meetings. We have to be intentional and learn how to conduct meetings for top results. your meetings hold the potential to drive alignment within the business; give direction; generate energy, focus, and creativity; and inspire your people to elevate the business to the next level. And the truth is we’ve all seen that, too. How many times have pivotal conversations and transformative insights come from meetings? Enough that we cannot just dismiss meetings or pretend we can get by without them. In fact, despite all the bad meetings we endure, one study found 97 percent of workers credit meeting collaboration for accomplishing “their best work.” We don’t need to abolish meetings. We just need to train our teams to get results with meetings. As both an entrepreneur and CEO, I’ve spent years refining an efficient system for running meetings. But if there’s one go-to resource anyone can digest and use immediately, it’s Herold’s excellent book. It’s only 150 pages and will have you running meetings like a champion right away. For this post I just want to pull out three pointers that can instantly transform your process. All three have to do with definition. A meeting might contain all three, but it’s up to leaders to set the expectation. It undermines the effectiveness of a meeting if they don’t. Moderator to chair the meeting and oversee the agenda. Parking Lot to capture good but off-topic ideas that should be addressed later. Participants to learn and share. Closer to summarize the meeting and assign key action items. One person may play multiple roles. But it’s critical that all roles are filled or the meeting will easily fail to achieve its aims. Herold’s system goes on from there. We’ve been using it for months and it’s made all of our meetings more efficient and productive. And I thought we were already great at running meetings! So here’s my question: What if we decided to never host another terrible meeting? What if we agreed to make 2017 the year meetings became useful, effective, and even awesome instead? It’s possible. Click here to see this article on Michael Hyatt's website.